In the 1930s, Beryl Johnson's parents were master and matron of several former workhouses, by then known as Public Assistance Institutions, in the West Riding of Yorkshire. She has particular memories of the Dewsbury Institution. The following reminiscences were recorded in 2015. The audio file is 16 minutes long and in the MP3 audio format. 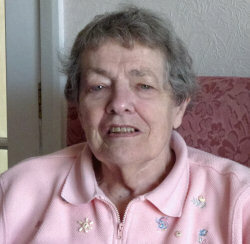 Beryl Johnson's memories of Dewsbury Institution. 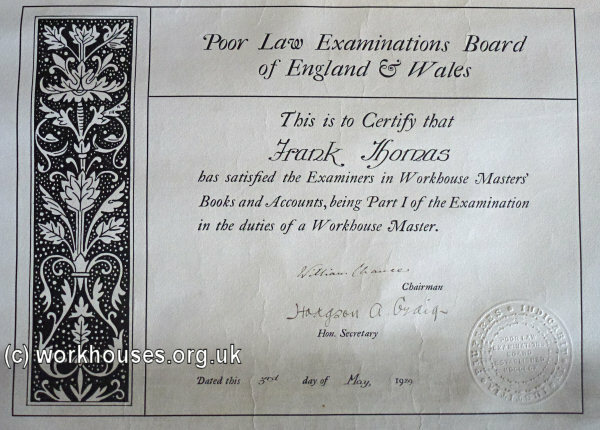 Beryl still has the certificate awarded to her father on passing the Workhouse Masters' Books and Accounts examination in 1929.